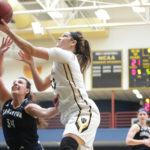 After a sluggish start to Wednesday’s game, the Gustavus women’s basketball turned it on midway through the second quarter, cruising to a 92-49 win over Carleton in its highest scoring output of the season. 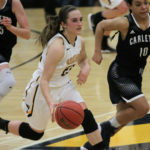 The Gusties made a season-high 10 three-pointers, shooting 47.6 percent from beyond the arc, thanks in large part to Mikayla Miller’s (Sr., Goodhue, Minn.) 6-of-8 shooting from three as she poured in a season-high 30 points. 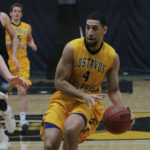 The Gustavus men's basketball team was outscored 41-28 in the final 20 minutes after a five-point first half deficit at Carleton College Wednesday evening, falling 81-63 for a third consecutive Minnesota Intercollegiate Athletic Conference road loss. 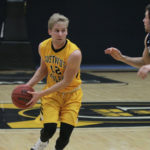 The Gustavus men’s basketball team is set for a third consecutive Minnesota Intercollegiate Athletic Conference road matchup Wednesday evening, traveling to Northfield, Minn. to take on Carleton College. The Gusties (10-9, 8-6 MIAC) and the Knights (10-8, 8-5 MIAC) are set to tipoff at 7 p.m. from West Gymnasium. 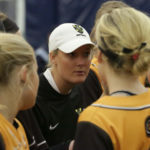 The Gustavus softball program and Head Coach Britt Stewart are hosting the Gustavus Softball Winter Camp Feb. 17. 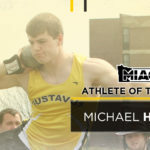 The Minnesota Intercollegiate Athletic Conference announced its Men’s Track & Field Athlete of the Week awards this afternoon, with Michael Hensch (Jr., North Branch, Minn.) earning the field athlete of the week honor. The Gustavus women’s basketball team returns home Wednesday for a 7 p.m. tipoff against Carleton. The Gusties enter the conference matchup 15-4 overall and 9-3 in the MIAC, while the Knights are 7-12 overall and 4-8 in the league. 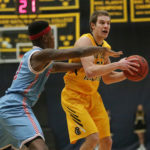 The Gustavus men's basketball team was outmatched by the No. 6-ranked Johnnies of Saint John's University Monday evening during a 76-54 Minnesota Intercollegiate Athletic Conference loss at Sexton Arena. 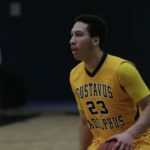 The Gustavus men’s basketball team is set for a Minnesota Intercollegiate Athletic Conference matchup at Saint John’s University Monday evening. The Gusties (10-8, 8-5 MIAC) and the Johnnies (16-1, 12-0 MIAC) are set to tipoff at 7 p.m. from Sexton Arena. 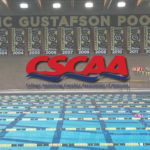 The College Swimming and Diving Coaches Association of America (CSCAA) announced the teams that have earned the distinction of Scholar All-America team for the Fall 2017 semester and both the Gustavus men’s and women’s teams received the recognition. 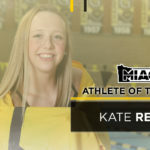 The Gustie men posted a 3.25 team GPA, while the women tallied a 3.32 team GPA. To earn the honor, teams were required to post a GPA of 3.0 or higher for the fall semester.